5. Easy to implement, use, and make changes. Consolidating data from multiple sources is the most important feature of any dashboard. 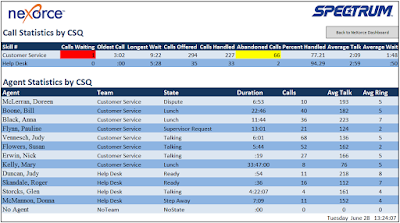 The benefit to you is your time and outcome from seeing collaborated data cause and effect to your call center. 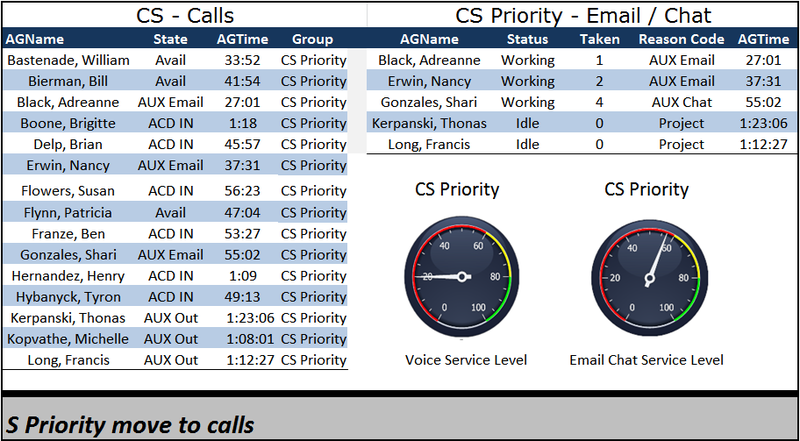 Dashboards that come with your contact center platform do not allow for consolidation of the data. The data in the dashboard is restricted to the ACD that you have in place today. The ability to combine data from other sources is not allowed. There is a realistic reason for this restriction; combining data from outside sources will overload the server processor for the ACD causing it to shut down. 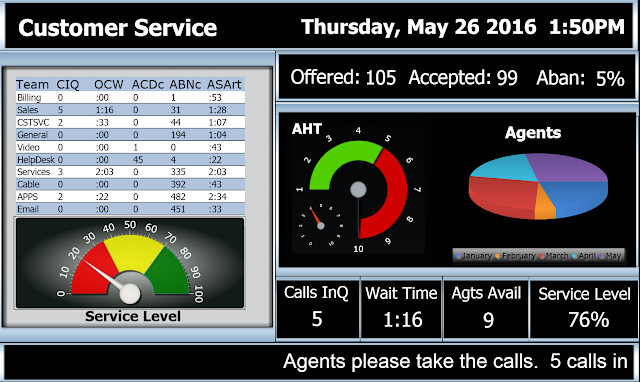 Today’s contact center has agents taking calls, answering emails and having chat sessions with customers. 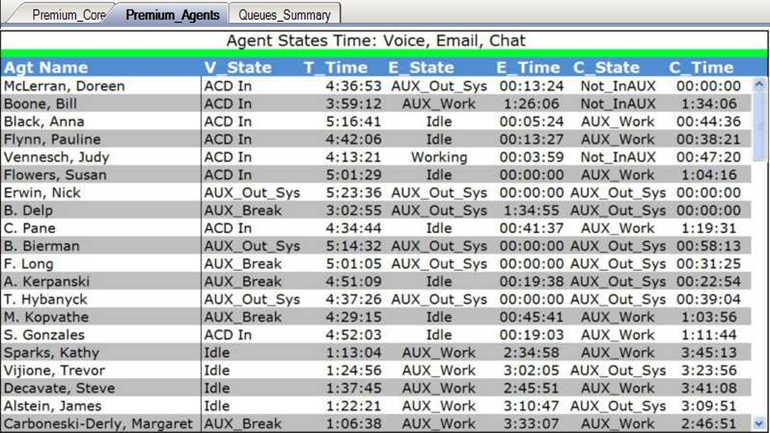 The agent performance is no longer limited to calls. As a manager you need to see performance across multiple platforms. 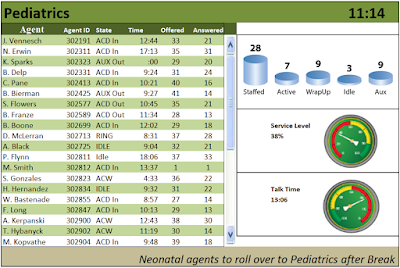 However, you do not have the time to look at three dashboards to see the status and performance of the agents. 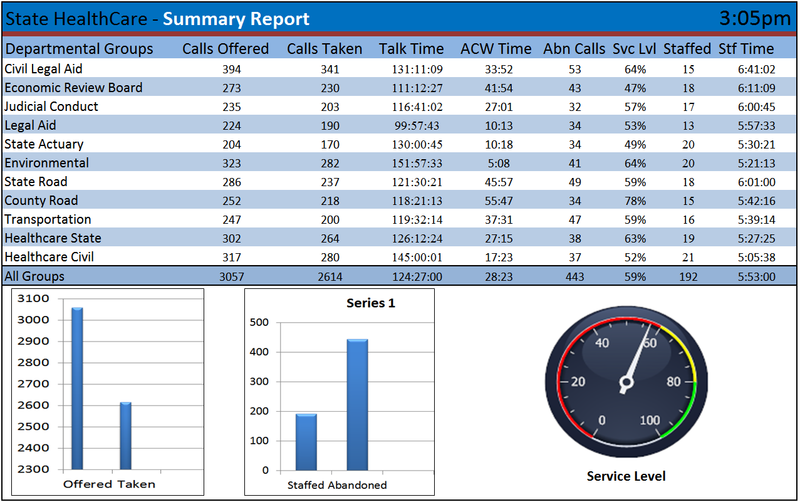 Also looking at one report does not give you the combined performance metrics you need. There is other data that may need to be combined in your dashboard. Information from WFM, IVR, CRM, Call Accounting or your outbound dialer data may need to be added to you dashboard. 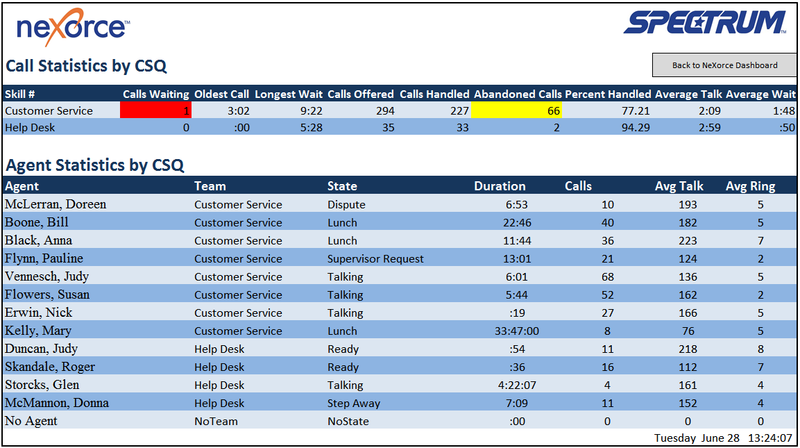 Your selection of the critical KPI’s should all be on the dashboard so at a glimpse you are aware of the call center status and performance. 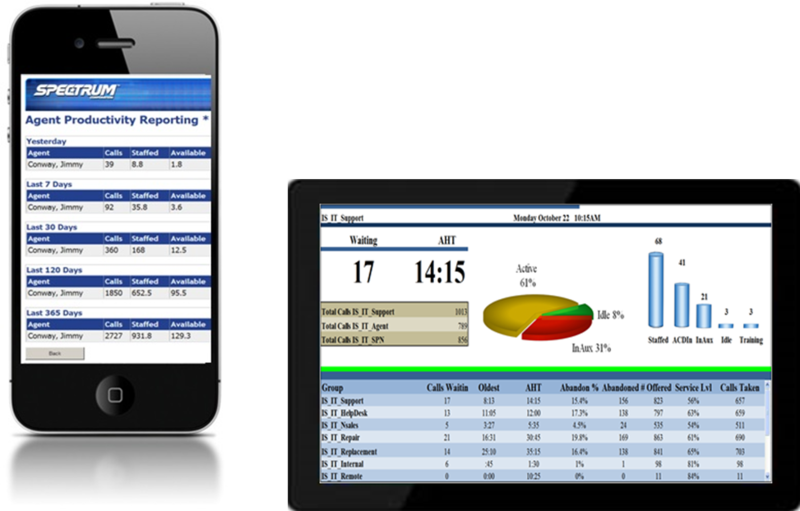 Senior management requires a dashboard as well but with a different level of data. 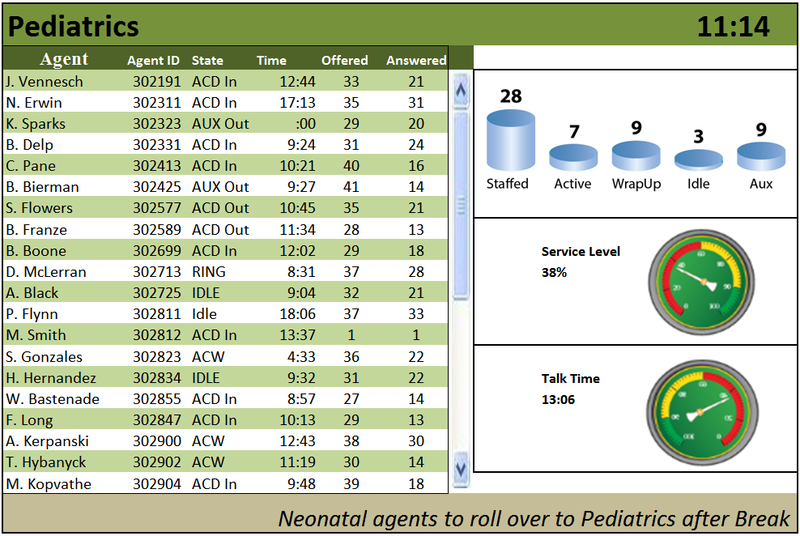 These dashboards combine internal financial data to the overall contact center metrics. The drill down to business level specifics is also needed but not available from a single source dashboard. The manager dashboard needs to have multiple layers of content. The primary page is summary information. 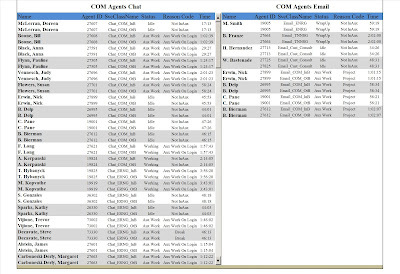 It might start with group level information from multiple data sources and then have tabs that can be clicked on that goes into more detail such as specific group with agent information. 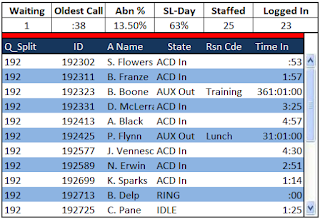 Every call center is different and manager goals are unique. So the dashboard content should meet the manager needs and requirements. 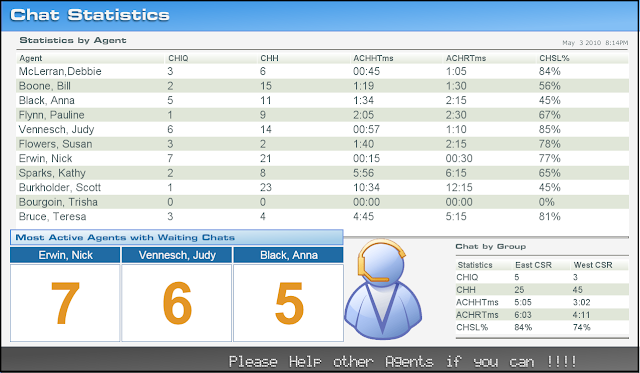 For example, start the summary main page with overall contact center numbers. It might have voice, email, chat and ticketing system data. 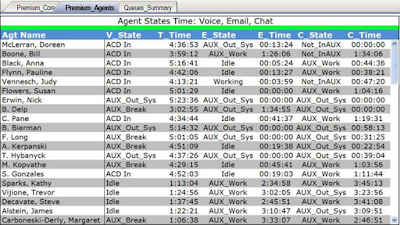 The second tab could have specific group data for voice showing all of the agent performance. 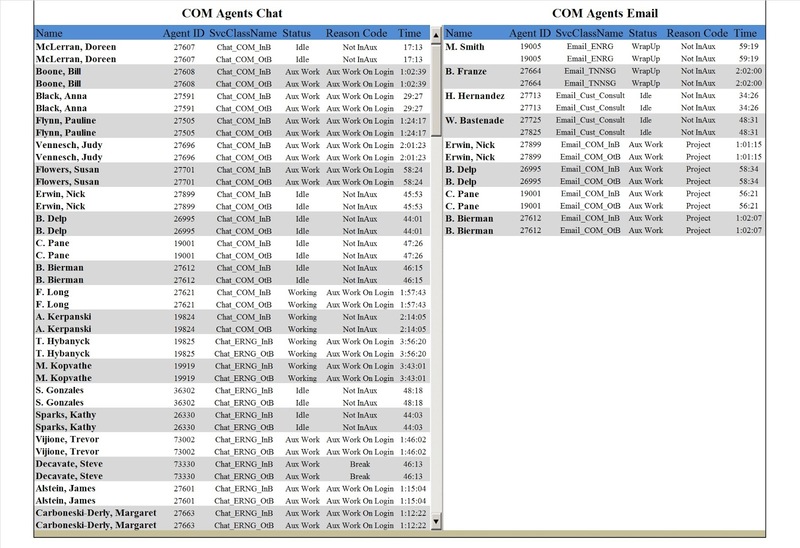 The third tab could be a combination of email and chat data per agent for each group. The dashboard can be set to meet your needs and show you contact performance by the agents. If your dashboard cannot combine this data you will be required to open three dashboards just to see the overall performance by group for voice, email and chat. This is a tremendous time consumer. As a manager you decide what data is critical to you and integrate that data into your dashboard. 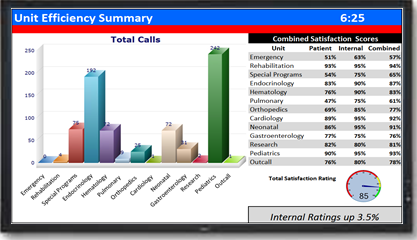 If you are unable to combine and collaborate data you should begin looking for a new dashboard. · Data formulas are not restricted. The formulas can change as needed. 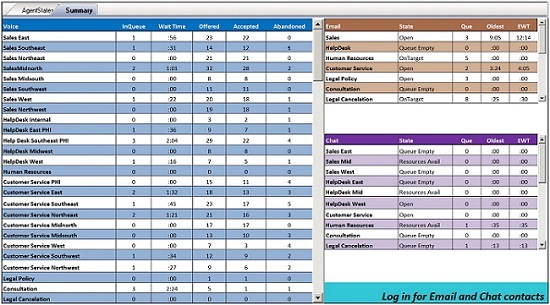 · Data in the dashboard is based on your login. A different manager login will have different content. An out-of-the-box, one size fits all type dashboard does not allow you to combine data, make fundamental changes to the dashboard layout, is static in design and content collaboration. What is more important to you how good it looks or having all of the content on the dashboard that you need? Your dashboard needs to meet your needs and should be able to do what you require. Maybe your dashboard has very little data and the critical content is in graphs and charts. 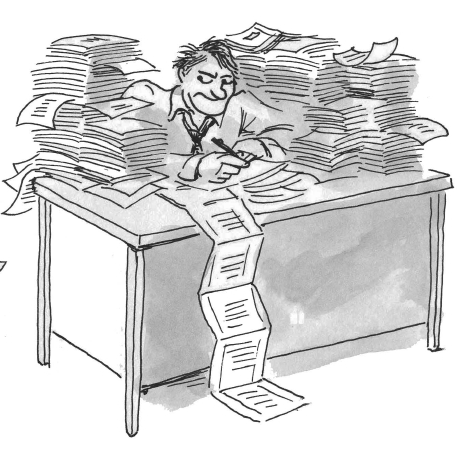 Or maybe your dashboard has a lot of data and space would be wasted having charts take up real estate. The decision really needs to be yours and not the out-of-the-box application. A text filled dashboard with agent specific data. 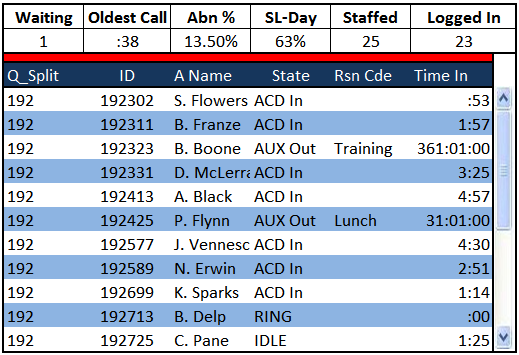 A general overview dashboard for senior management, combines data from multiple sources but does not go down into details that the contact center manager might need. Secondary tabs would allow management to see financial details. The dashboard needs to be something that is easy to implement and utilize. 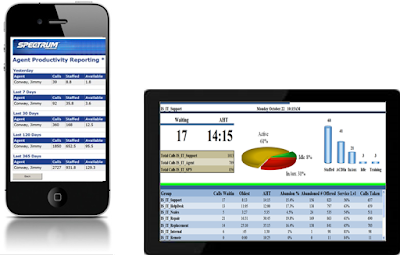 However, caution is needed here because something that is too easy may not give you the features and benefits that you are looking for in a dashboard. · Remote access can be provided. When searching for dashboards do not be afraid to go outside of your ACD provider. Finding a product that allows for data collaboration and drill down capabilities will help save time and improve manager and senior management performance. Never be satisfied with a dashboard that has restrictions that do not allow you to see the data you need to see on a single report.